The $7,500 federal tax credit for buying an electric vehicle is being phased out for Tesla and Chevrolet. But a bipartisan group of legislators in Congress wants to reverse that, and, in fact, expand it. You see, that federal tax credit only applies to automakers who have sold fewer than 200,000 electric vehicles, and Tesla and Chevy have both sold more. 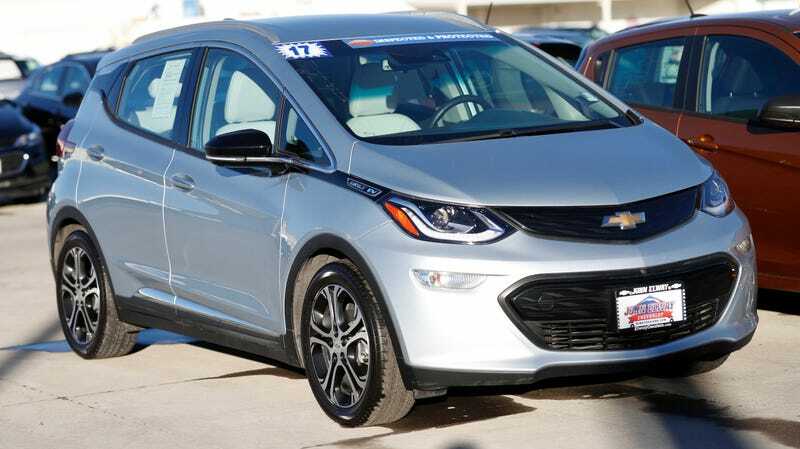 Now, legislators including Rep. Debbie Stabenow (D-Mich.), Rep. Gary Peters (D-Mich.), Sen. Lamar Alexander (R-Tenn.), and Susan Collins (R-Maine) have introduced a bill in Congress to make the tax credit apply to an automakers first 600,000 electric vehicles, or triple what current law allows for, as The Detroit News reports. This comes after President Donald Trump’s efforts to eliminate the tax credit entirely, because the climate isn’t changing at all, the globe definitely isn’t warming up, we all for sure aren’t going to die soon, everything’s fine. Really, we should pollute the world more, if we’re being honest. I’m being sarcastic, if you couldn’t tell. The bipartisan group of lawmakers backing the bill said the tax breaks to date have encouraged development and sales of electric cars. “At a time when climate change is having a real effect on Michigan, today’s legislation is something we can do now to reduce emissions and combat carbon pollution,” one of the bill’s sponsors, Sen. Debbie Stabenow, D-Lansing, said in a statement. Conservatives have argued the federal government should not be propping up electric cars at a time when car buyers have demonstrated a clear preference for SUVs and pickup trucks. The government “props up” all sorts of good behavior that people might not otherwise ordinarily do, like, to use a topical example, getting kids vaccinated to prevent the spread of deadly disease. So the idea that because people prefer to buy big trucks and SUVs we shouldn’t also be encouraging folks to buy electric trucks is nonsense, especially when literally the world is at stake. And no one’s coming to take away your C3 ‘Vette of course, but it’s refreshing nonetheless to see some Republicans agree that electric cars are good and our future, even if I highly doubt this bill has any chance of passing, as long as Trump is around. Bring all the electrics, please. We will always have ICE cars anyway. I mean, there are still record stores.